"It’s 6am, Saturday September the twelfth, 1981. Welcome to Essex Radio…"
That first voice belonged to John Wellington, and that announcement marked the launch of local radio for the county of Essex, bringing the total number of new commercial radio stations opening up and down the country to just over 30. Those of you up on your radio history will know that Essex is known as the home of broadcasting, and Marconi’s early pioneering radio broadcasts took place just up the road from Southend, in a little hut in Writtle, Chelmsford. but that’s a story for another day. Back to September 1981. In those first few exciting minutes of broadcasting, the County of Essex was introduced to the team that were to become household names for the people of Essex. Accompanied by the station’s main theme, called "Listen to Essex" (performed by the Royal Philharmonic Orchestra), we first heard the voices of breakfast show presenter Jon Scragg, daytime show hosts Dave Gregory, Dave Gilbee and Keith Rogers, drivetime presenter Terry Davis, news man Steve Wood, Talkback’s Chris Mann, "The Hairy Eyeball" (Rock presenter Paul Lee), and late night phone-in voice, Tim Lloyd (later to become ‘Timbo’). The station’s weekend lineup in those early days included Andrew Marshall’s Country show, Andy Anderson’s Saturday Supergold, sport with Rogers Buxton, Eddie Blackwell’s Jazz show, the Sunday morning religious show with Jeff Bonser and Peter Elvy, Alan Bell’s Essex Top 30 chart countdown, with Lindsay King (later to marry Timbo) hosting the Sunday late-night show. Introductions done, the first record heard on that September morning set the pace for things to come … Cliff Richard’s appropriately-titled "Wired for Sound". 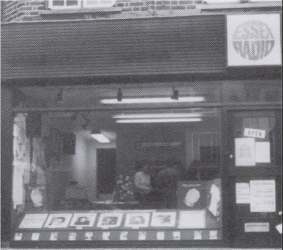 From 1981, Essex Radio broadcast from a purpose-built studio complex two floors below Clifftown Road in Southend-on-Sea. The building had formerly housed the printing presses of the Southend Standard newspaper, and the basement had to be refitted with high-tech studio equipment, which was floating on special a special concrete base needed to deaden the vibration from the neighbouring Southend Central railway station. This lead to a very slight noticeable ‘bounce’ as you tripped along the corridors in the basement. The main transmitters for the station were the FM South transmitter on top of the Benfleet water tower, with a medium-wave transmitter on a site in Rayleigh. At the end of 1981, AM and FM transmitters for North Essex were brought online. Those few lucky enough to gain admittance to the catacombs below Radio House would hurry down a rather drab staircase into a beige and cream tunnel that lead to the station’s two main on-air studios, the production studio and two production areas. The basement also housed the station’s Engineering team and the well-stocked record library. 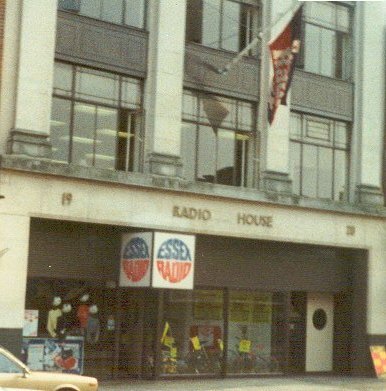 Other parts of Radio House were home to the busy newsroom’s typewriters and teleprinters, and the sales, production and management areas. In the early days, the station was owned by local businesses people, including directors from Keddies, Garons, H.W Stone and TOTS nightclub. Since those early days, much has changed. Presenters have come and gone. 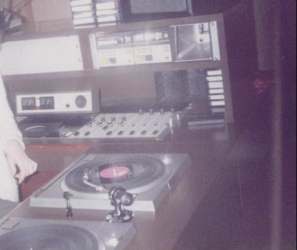 The station’s medium wave and FM frequencies did the ‘splits’ towards the end of the eighties, when Breeze AM launched, providing music for an older audience. 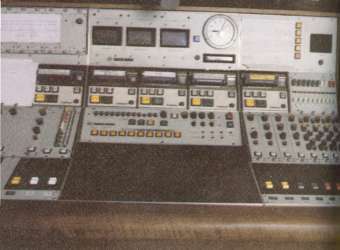 Over the years, the station saw a transition from vinyl and magnetic tape, through the CD era, and now to digital computer systems. Over the years, Essex Radio’s management and formats changed a number of times. Many may remember the old slogans "Somewhere Special", "We’ll make it a great today", and "Greatest Memories, Latest Hits". 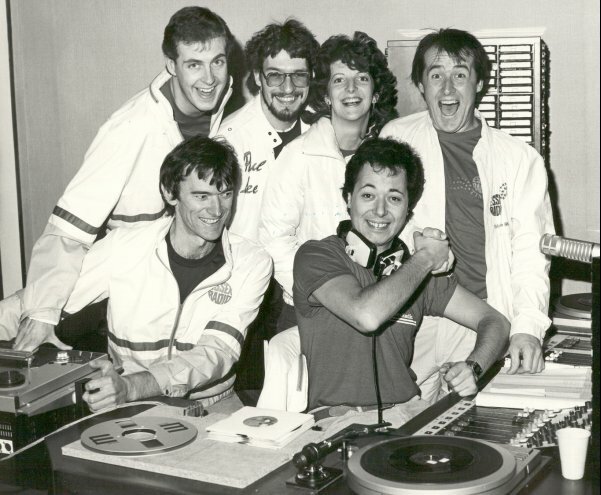 If you’d like to hear some of those old jingles from the 1980s and 1990s, please visit our Essex Radio Audio page. 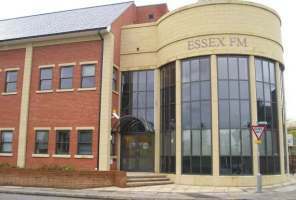 In the nineties, the station renamed from Essex Radio to Essex FM, with Breeze still operating an oldies station on medium wave. From 2004, Essex FM broadcast from Chelmsford, having vacated Radio House in Clifftown Road. The Chelmsford studio complex is not that far from where UK broadcasting all started. Back in 1922, the first regular broadcasts were made, by an experiential station called "2MT", coming from a small shed in Writtle. By 2006, Essex FM was part of the large UK radio group GCap Media, and twenty-five years since those early days of basement broadcasting, it’s still the number one rated station in Essex. 2009 saw the next major change in the station’s history. Parent company Global Radio has decided to rename Essex FM, as well as around 30 other local radio stations, to one single brand – Heart. On June 22nd 2009, Essex FM became "Heart", seeing the end of 28 years of local radio heritage. Essex FM Rebrands. Through most of the 2000s, the breakfast show on Essex FM has been presented by Martin Day, who now continues to present the morning show on Heart. To many, the station will be warmly remembered by many locals as "somewhere special", and a part of the history of our county. 1985 New presenters Dave Eastwood (6-9am) and Graham Bannerman (drivetime) signed up. Jingle package changes, with a new strapline: "Together, we’ll make it a great today". Towards the end of the year, the station’s FM frequencies change to make room for BBC Essex – 95.3 changes to 96.3 and 96.4 becomes 102.6. 1986 The 1986 on-air lineup includes: Keith Rogers, Roger Buxton, Peter Holmes, Adrian Fox, Dave Eastwood, Graham Bannerman, Geoff Cullen, Dave Gregory, Tony Monson, John Hayes, Steve Wood, John Leech and Romilly Paradine. In September, the annual Helping Hands appeal includes an evening "Soul Appeal" over the weekend. 1989 Essex Radio in the press when Mike Ahern resigns in February, Keith Rogers steps in as acting Programme Controller . In March, courageous presenter Dave Eastwood lost his battle to leukemia. April Fool’s stunt with a hot-air balloon outside broadcast flying through the ozone-layer hole. 16th July sees a launch of Breeze, on the station’s AM frequencies. Presenters include: Keith Rogers, Bill Rennells, David Baker, Ray Clark, Peter Phillips and Greg Bance. 1997 Essex Radio acquires 96.6 Classic Hits in St. Albans. Vibe FM (regional dance station) launched in November. 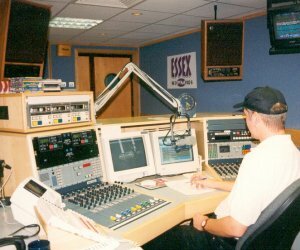 1999 Another image change – Essex FM becomes "Fresh, Fun and Exciting – the Hottest Hits"